Returning to this year’s Junior Program, the Junior Challenge Ladder! Click on the link below to register for this great program! Join the junior ladder today! 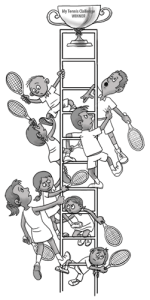 Click here to compete in the junior ladder! Looking for a fun program for your juniors to participate in? The junior social is the event for you! 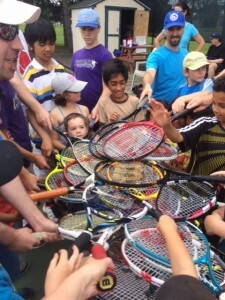 Kids of all ages and skill levels are welcome to participate in fun games and drills. 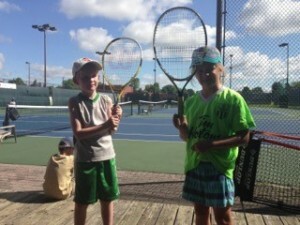 There is no registration required and junior members of the club can simply drop in. The program runs on Sundays from 12-1 beginning May 20th. Hope to see you there! Clear Eyes, Full Hearts, Can’t Lose! Beginning in 2015, at the conclusion of each junior social season, we hand out the Teagan Batstone Spirit Award. 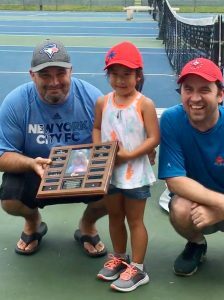 The award is to celebrate Teagan’s life and how she played tennis for the pure joy of the game. 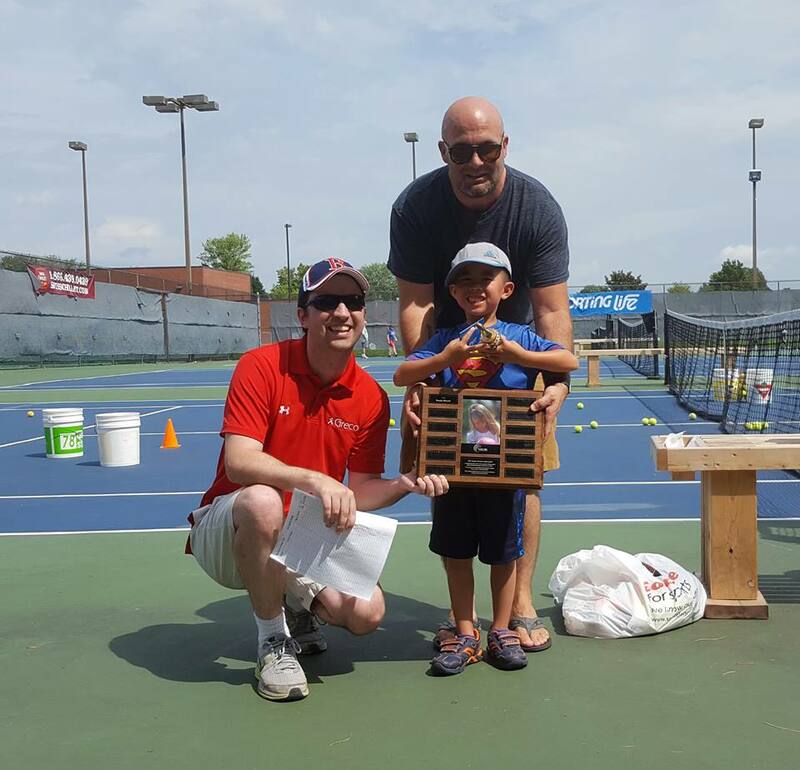 The purpose of the Teagan Batstone Spirit Award is to inspire kids to play tennis for the love of the sport and the community it creates. The award goes out to the junior whose dedication to improvement and enthousiasm to come out to the courts each week inspires others. 2018 Teagan Batstone Spirit Award Winner: Heidi Lee!